I’m constantly changing things up in my bedroom. I love to redecorate and bring in new vibes, but it also has a lot to do with lack of storage. 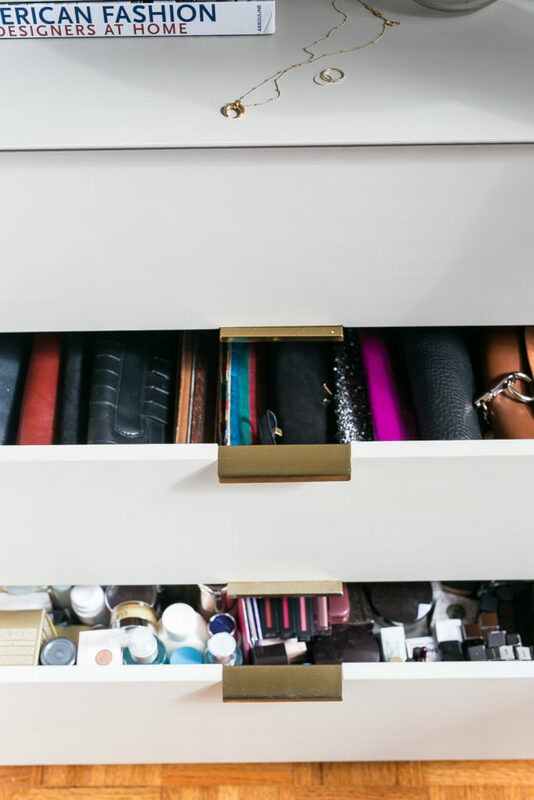 Being a lover of clothing, accessories, and the occasional beauty find (and having a job that encourages me to feed my habit) means that I’m in constant need of creative storage solutions. 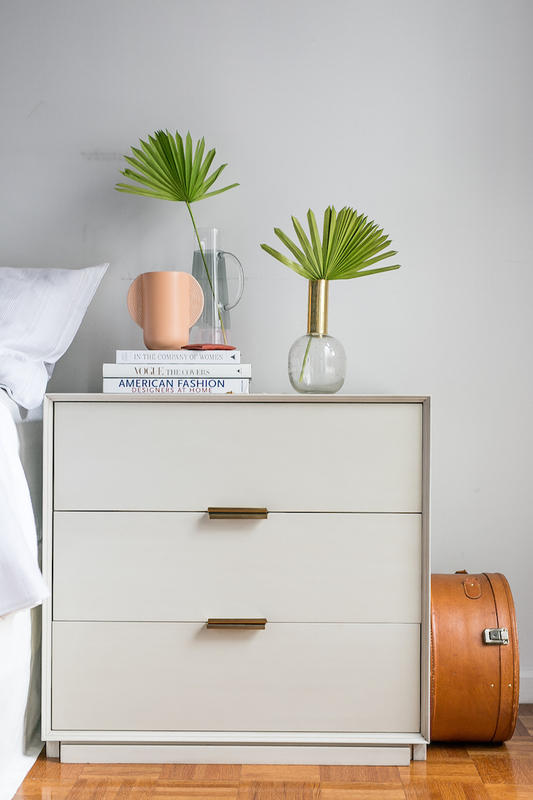 My latest hack is this low boy dresser that’s doubling as my night stand. The three drawers I’ve gained are being used as much needed storage for small bags and clutches + beauty products I’m sent to try out. 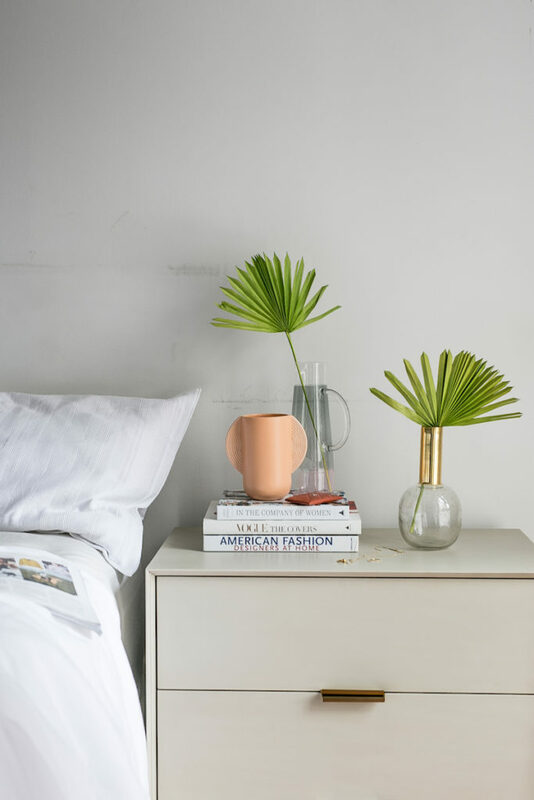 The dresser is from the PB Apartment line so it has a slimmer footprint than others you might come across, designed especially for small spaces when every inch of floor space counts. The dresser comes assembled (so nice!) accept for the legs. I recommend leaving them off like I did so that the dresser height lines up nicely with your bed just like a nightstand would. 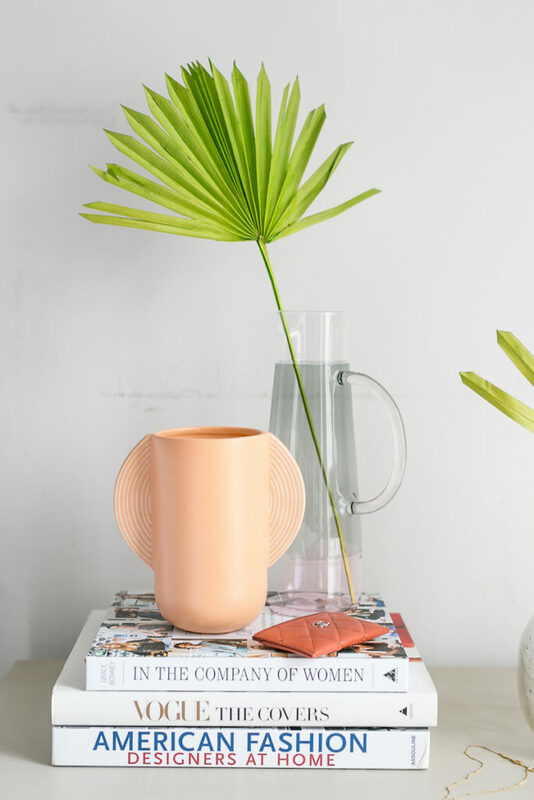 Shop my edit above for a few other small space pieces I’m currently eyeing. 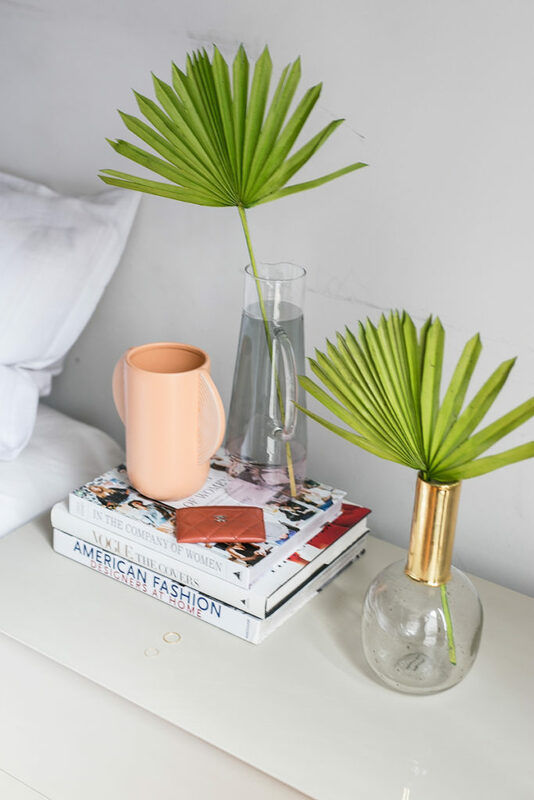 This post is sponsored by Pottery Barn. Thank you for supporting the brands that support this blog.